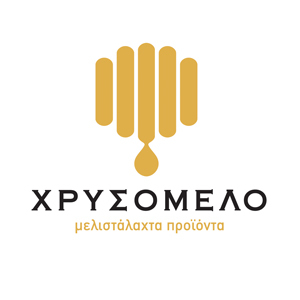 CHRYSOMELO is a Greek company, which was founded by the beekeepers Tabari Ioanni Nikiforou Chrisa. Our beekeeping base is located in Plati Messinia (Kalamata) and the headquarters of the company is at Ithaca 56, Agios Ioannis Rentis, where there the standardization of all our products is done. In CHRYSOMELO we transfer our colonies in many parts of Greece and thus we produce various and rare Greek honey varieties, Flower Pollen and Royal Jelly! Our goal is CHRYSOMELO to be able to be differentiated as a company in the market by producing new innovative products based on everything our honey! Already our gourmet line includes the unique code Thyme honey Blueberry, our own innovation makes that is very popular abroad (Germany, Sweden and Cyprus)! We want our honey-products to enter the shelves of the best Greek grocery – delicatessen, to the best tourist spots and abroad, to make it possible for more people to be able to test all the honeyed products. In CHRYSOMELO we believe in trust, professionalism, team work, innovation and most of all the quality for which we do not negotiate! Our mission is to bring culinary ‘revolution’ with our honey and our products.